QuickBooks® is the accounting program of choice for over two-thirds of small and start-up businesses. It offers a unique combination of ease of use, flexibility, and scope that can get you up and running quickly. 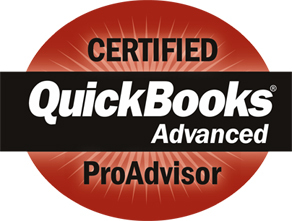 We are ADVANCED Certified QuickBooks ProAdvisors®. OnTrack Accounting provides ADVANCED Certified QuickBooks ProAdvisor® level experience. We can handle ANY QuickBooks-related problem you may have. Only 10-15% of all ProAdvisors reach this level of expertise. Don't settle for less. Next time you’re in QB click on the Help menu and click on Find a Local QuickBooks Expert. You’ll be brought to the Intuit website. Click through the security screen and then enter your zip code and a radius of 10 miles. For zip codes in the Huntington Beach/Fountain Valley/Costa Mesa area Steve Bronder should appear within the top five on a list of around 90-100 ProAdvisors (for a radius of 10 miles; numbers may vary slightly from your computer and zip). How to pick the right QuickBooks Product more.